Well.....today's polish is either a love or hate polish. I went shopping when I was out on my date and we stopped by Sephora. 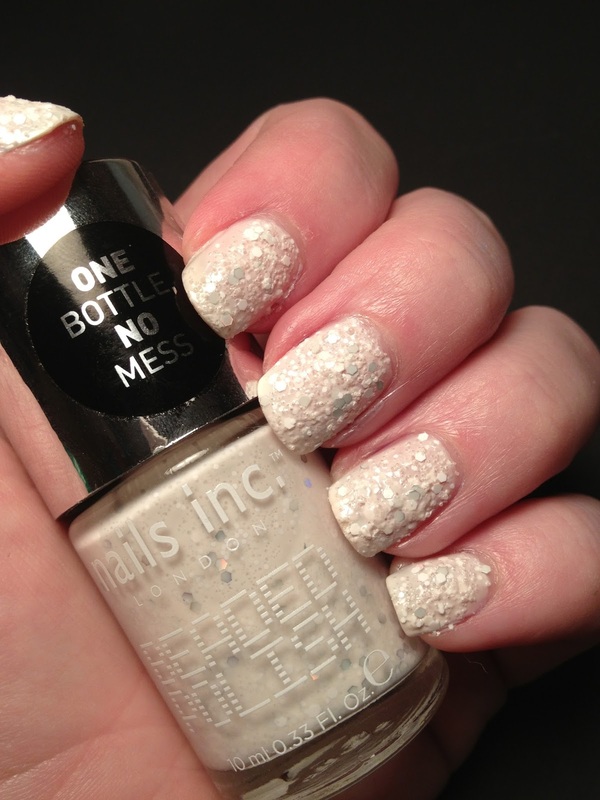 I was browsing the polish bar and I saw these new polishes from Nails Inc. It said Beaded Polish and the display ones didn't look so bad. It was only $11 so I figured I would pick one up and try it. I picked the easiest color I could think of to wear, the white/offwhite with silver. Unbeknownst to me, it ended up looking a little like spoiled milk. The pictures of this polish don't really do the polish justice, it's much much better in person. What do you think, would you try this extreme trend? Wow this is definitely a unique texture. Really different. Lisa, thank you so so much for replying and supporting me every day. I truly appreciate it. I haven't had the time at night to visit my blogs like usual, but I love your blog and I think you are super talented. lol, spoiled milk! I haven't seen these yet! 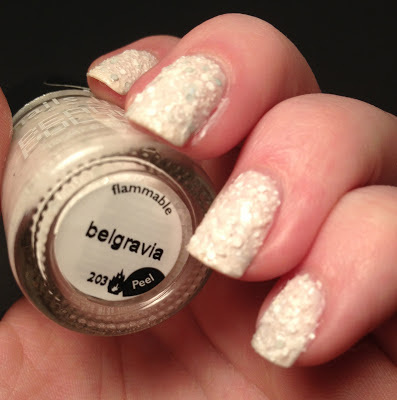 I still haven't tried the sand-textured polishes, doubt I'll try this one... the rough texture kind of squicks me out. Yea I would honestly pass on this one. But you should for sure check out the sand textured ones. 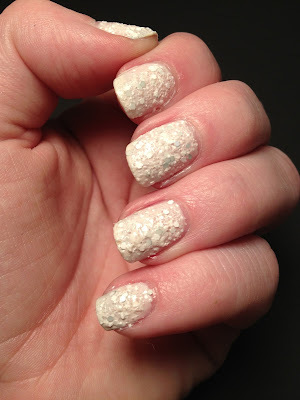 Pick up a Zoya one!